(PUBLoyola)In softcover! 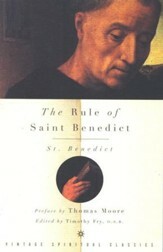 Benedict's Rule is now arranged thematically for ease of use. 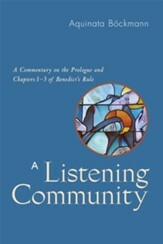 Pratt and Homan hone in on 30 principles they feel are significant (e.g., listening, hospitality, perseverance, authenticity, humility, service, chastity, joy, community, obedience, service), along with modern applications. 270 pages. Lonni Collins Pratt is an award-winning author and journalist with several books to her credit and more than one thousand magazine and newspaper articles. She is part of the community of friends in Oxford, Michigan, who support the work of the monks at St. Benedict Monastery. Daniel Homan, OSB, is prior major of St. Benedict Monastery in Oxford, Michigan, where he has lived the Rule of St. Benedict for forty years. He has led youth retreats for more than twenty-five years and coauthored Here I am Lord, a prayer journal for teenagers, with Lonni Collins Pratt. 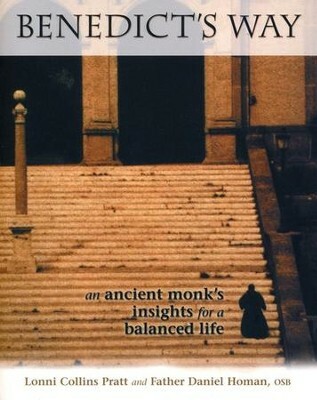 I'm the author/artist and I want to review Benedict's Way: An Ancient Monk's Insights for a Balanced Life.